Sometimes referred to as 'raster' or 'bitmap' editing software, a good photo editor is a must, even if you only ever plan to create artwork by traditional methods (i.e. not digitally on a computer). In order to sell your work you will be photographing it and putting those pictures online. Whilst you want to get the best photo possible with your camera, photo editing software will allow you to do things like color correct, adjust brightness and contrast and it'll let you resize your images to make them more suitable for placement on websites (a raw camera image, digital file is generally too big to upload as a web page image). Chances are you'll be using your phone camera to take pictures of your art, as most phone cameras, these days, take 3-5 megapixel plus images (which is actually over kill for screen display and only necessary if you intend to print physical copies of your images). Most phones include apps that can do a lot of the basic image adjustments you'll need to make your art look fantastic however if you want even more control you may want to purchase something a little more substantial. Adobe Photoshop is the go to, industry standard, in this field. 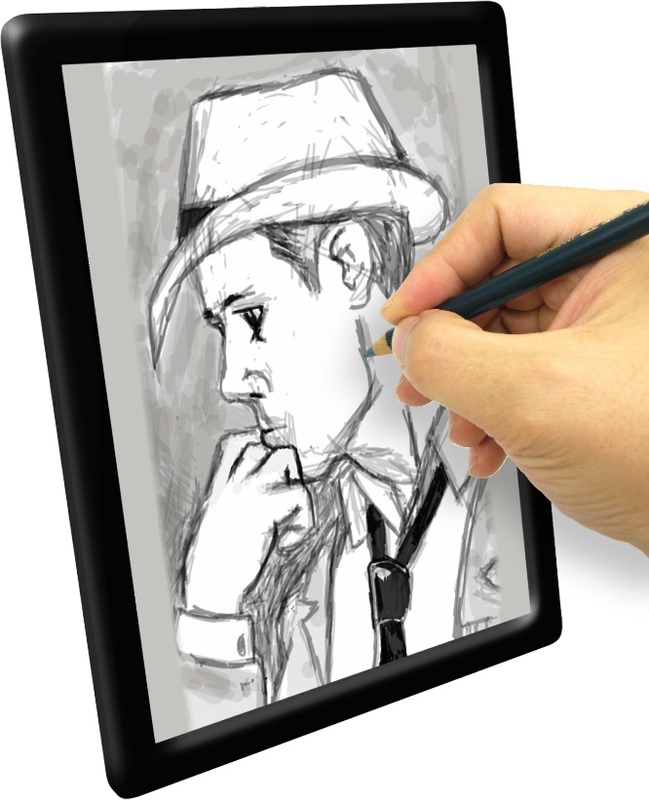 These days it's more than just a photo editor as many artists use it to create their digital art illustrations too (it has great support for graphic tablets). If you want your artwork to look good at any scale then becoming proficient with vector illustration software is a great idea. Digital photographic images pixelate once you start enlarging them beyond their original size. Vector art stays sharp even if you scale it up to billboard or greater size. Vector art is not for photos but any other kind of 2D artwork that can be created with lines and shapes is a great fit. For example comic book art, logos, stylized illustration etc. Vector art keeps its image quality because it uses points and mathematical equations to map out your illustration instead of a grid of pixels (as per raster/bitmap images). Lines and shapes always look good because the software simply recalculates their appearance for whatever the current display size is. Vector illustration software can especially be good for traditional artists who create black and white line art illustrations with pen and ink. Once you've photographed your drawing, bring it into a vector program and either use the automatic trace function (or trace it in the software yourself) and suddenly your art is now able to be scaled for any application with no loss in quality of the line work. You can also use the software to color your art too. Phone and Tablet apps are becoming more and more capable. I've already mentioned that there are many phone apps for enhancing your photos but increasingly the apps for illustration are giving desktop and notebook software a real run for their money. You could probably find equivalent software on iOS and Windows phones. At the time of writing there was quite a wide variety of Android apps for raster/bitmap illustration with really good vector illustration software being a little bit of a rarity. One software I haven't listed above but use quite a bit is Clip Studio Paint (formerly known as Manga Studio). 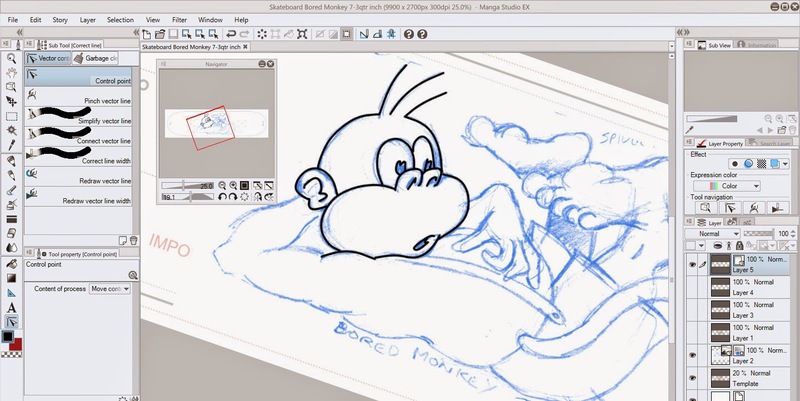 Clip Studio Paint, although promoted as a comic and animation software, is actually a real rival to Adobe Photoshop in many ways. 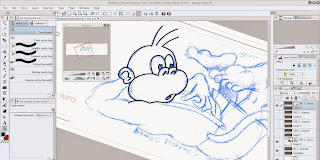 It can handle both Raster/Bitmap and Vector illustration, has dedicated tools specifically for publishing comics and graphic novels as well as everything you need for general illustration. It recently added hand drawn animation to the mix as well. I wouldn't particularly recommend it as a photo editor but as an all purpose illustration tool it could be the only software you need. As I said, my suggestions are not definitive. However they're a good starting place if this is your first foray into the world of digital photo editing and illustration. Next post we'll take a look at software you'll need to familiarize yourself with to get your work out into the world for your buyers.